A friend recently offered to lend me a Catholic magazine because it contained an article by John Salza's warnings Catholics of Freemasonry. Of course, I took her up on her offer. However, when I saw that the magazine was the Fatima Crusader, I was wondering how I could gently but firmly warn my her about Father Nicholas Gruner, the owner of the Fatima Crusader, who is has been stripped of his priestly faculties. I often find copies of the Fatima Crusader in the local churches. It is filled with erroneous messages that the Popes had not yet obeyed our Lady of Fatima's message of consecrating Russia to the Immaculate Heart of Mary. I haven't seen a copy recently, other than the one my friend lent me. But they used to be filled with beautiful Catholic artwork; very appealing to the eye yet with articles that will lead Catholics astray if they are not careful. I found an article that I will be sharing with that friend and I thought readers here may be interested in reading it too. As the middle of the thirteenth century approached, the Carmelite Order found itself at a critical moment of its history. The Turks had re-invaded the Holy Land, making it necessary for the monks on Mt. Carmel to spread westward into Europe. However, difficulty in adapting to European living, disagreement within the Order, and the plague greatly diminished their numbers and demoralized the remaining members. In the midst of these circumstances, the General Chapter of 1247 elected Simon Stock Father General of the Carmelite Order. 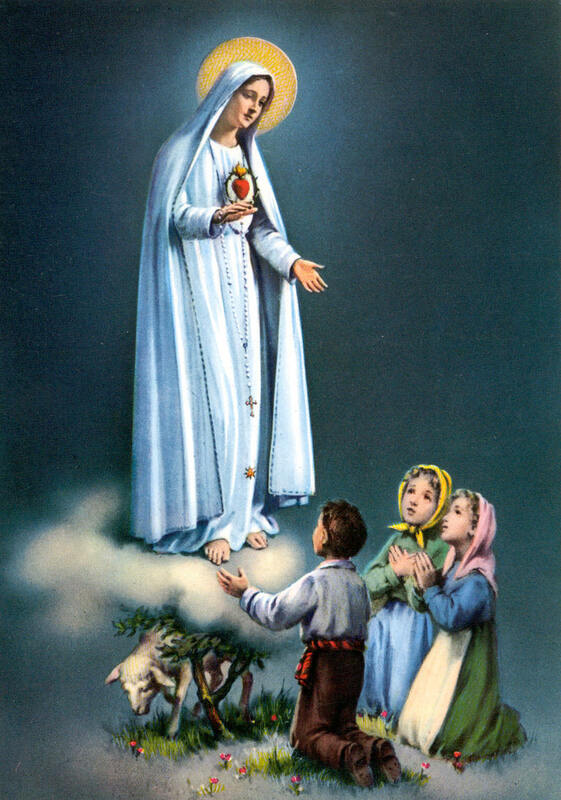 Realizing the dire state of his community, he had recourse to Mary. 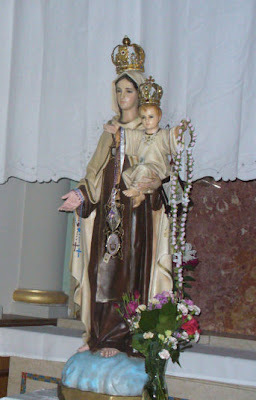 “Flower of Carmel, Blossoming Vine, Splendor of Heaven, Mother Divine, none like unto Thee, Mother of our King. To thy children of Carmel, favors grant ever, Star of the Sea,” he prayed. Since the first monks ascended Mount Carmel during the time of the Crusades, Carmelite devotion to Mary has been marked by love, imitation, and dependence. 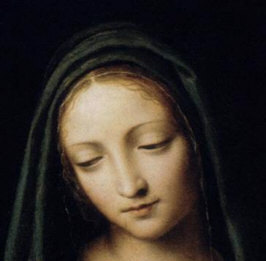 As followers of Christ, the Carmelites knew that they were called to love and honor Mary in the same way that Jesus had during His life on earth. At the same time, their life of chastity, poverty, obedience, silence, and prayer was an almost perfect imitation of the life of Mary. In their imitation of her, Mary became for these monks the Queen and Flower of Carmel. Represented by twelve stars at the top of the Carmelite Coat of Arms, the virtues and love of God of the Immaculata were the Order’s sole treasure. Depending not on himself, but on the love and mercy of His Queen, the Carmelite received through the hands of Mary the grace and strength necessary to practice the virtues and accomplish the works that brought her honor. Throughout the centuries since the scapular promise was made to St. Simon Stock, countless miracles and conversions have been credited to the scapular. The following are just a few examples. In May 1957, in Westenboden, Germany, an entire row of houses had caught fire. The inhabitants of one of the houses fixed a scapular to the front door of their home. Five hours later, 22 homes on the block had burnt to the ground. Yet amidst the destruction, the home with the scapular attached to it stood unharmed. This miracle was witnessed by hundreds of people. O Mary, my mother, and Our Lady of Surprises, what a happy joy you caused the wedding guests, when you asked your Divine Son to work the miracle of water into wine. What a happy surprise for them since they thought the wine had run dry. 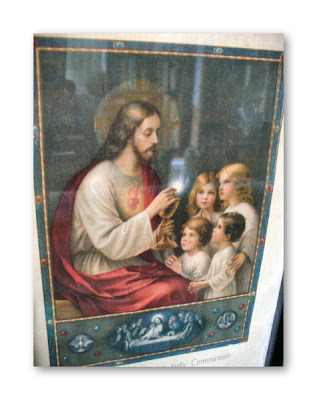 I, too, Mary, love surprises, and as your child, may I ask you to favor me with one today? I ask this only because you are my ever caring mother. In Spiritual Combat we are encouraged to try to strive to obtain one particular virtue at a time. We are also reminded that there are so many opportunities that will come our way each day, where we can grow in these virtues. - or we may have to bear some real and heavy trial, such as this miserable life is full of..."
We can come up with things in our own daily lives that will help us grow in the virtues. - Your spouse snaps at you when you ask a innocent question. - A friend takes out her growing stress on you and yells at you in front of others. - A bicyclist on the sidewalk forces you, the pedestrian out of the way or a motorist cuts you off on the road. - Someone cuts in front of you on the checkout line in the store or even at the confessional line in Church. - Your child speaks disrespectfully to you or worse, someone else's child speaks disrespectfully to you. - You are not invited to a certain event that most of your friends have been invited to. - A member of an organization you belong to, spends a large sum of money without anyone's consent or knowledge and then expects reimbursement from everyone. Father Scupoli advises that we should strive to achieve one virtue at a time as aforesaid. So for example, we are trying to achieve the virtue of patience, we should accept the above situations not only willingly, but with a light heart. If it is humility we are striving to achieve, then the above situations should be felt by us, that we truly deserve to be treated in such a rude or inconsiderate manner. If it is the virtue of obedience that we are striving for, then we are to accept all these situations as coming from the hand of God. This means even if our annoyances are caused by people who we really do not owe obedience to. i.e., a child. If the virtue is poverty, Father says "....we should be quite ready to be stripped of all the consolations of this world, great and small. Therefore, instead of growing impatient, angry, envious, prideful, etc., use these opportunities that will inevitably come your way daily, to perfect one of these virtues at a time. Spiritual Combat by Lorenzo Scupoli, Published by Sophia Press.